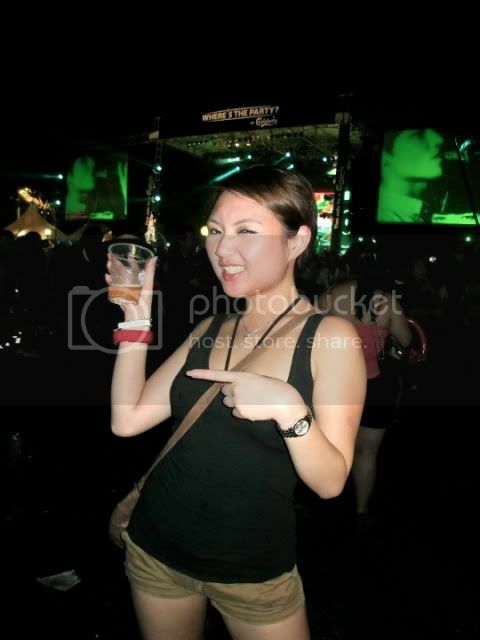 Stephanie Lim: [ADV] Where's the Party 2#? [ADV] Where's the Party 2#? Yeaps its back again, and this time I wasnt gonna miss it for the world! 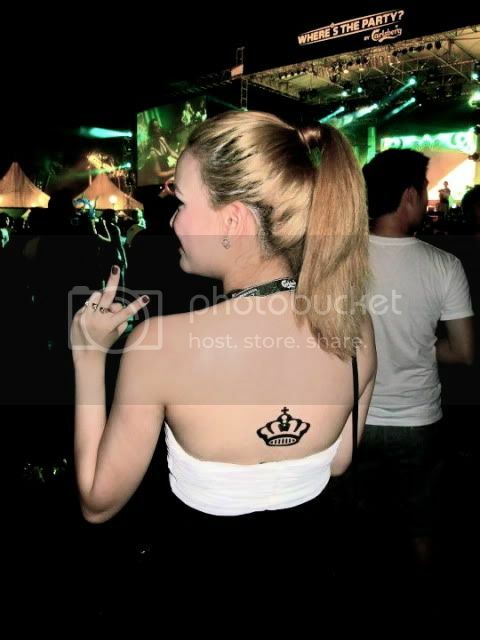 Held on the 19th of December 2011, guests and party-goers were ushered to a secret location kept secret by theh Carlsberg's staff till the very last minute. 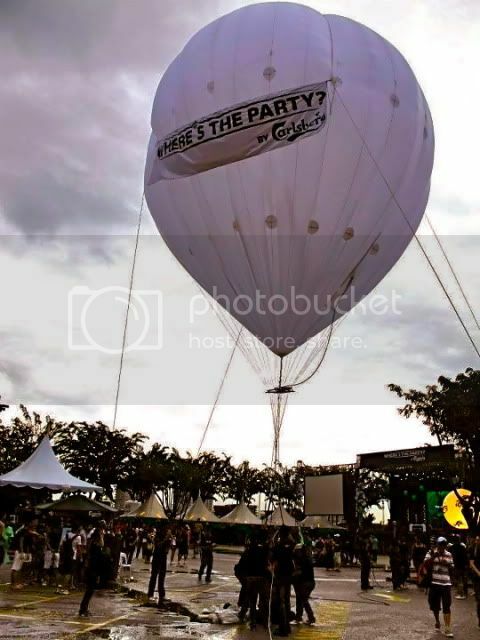 Building on the positive momentum and overwhelming response towards the debut of “Where’s The Party?” (WTP) held in June this year, Carlsberg definitely raised the bar by hosting another outstanding party for more than 2,000 party goers challenging the curiosity of partying in an unknown location. 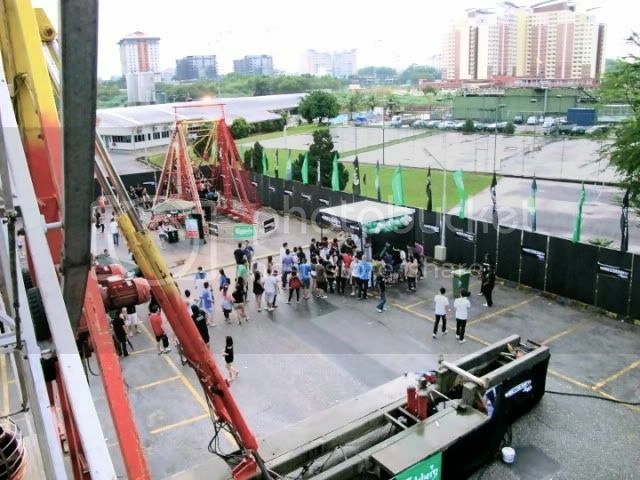 Yepp, it was held at the one and only very own Carlsberg Malaysia’s Brewery in Shah Alam! Its the facility where the first Carlsberg beer was locally brewed in 1972. So everyone was held at the Carlsberg lounge for a press conference and got an idea of what to expect for the next few hours. Soren Ravn, Managing Director of Carlsberg Malaysia said “We are thrilled at the extensive reach of Carlsberg’s “Where’s the Party?” and the immense support and interest garnered from consumers. All partygoers were assigned their own, unique RFID (Radio-Frequency Identity) tags, which enabled them to collate points from the games they played and redeem prizes accordingly. These RFID tags were linked to their Facebook accounts and enabled them to update their Facebook status simply by tagging on the “Like” stations throughout the brewery. The girls and I all set to partyyyy! 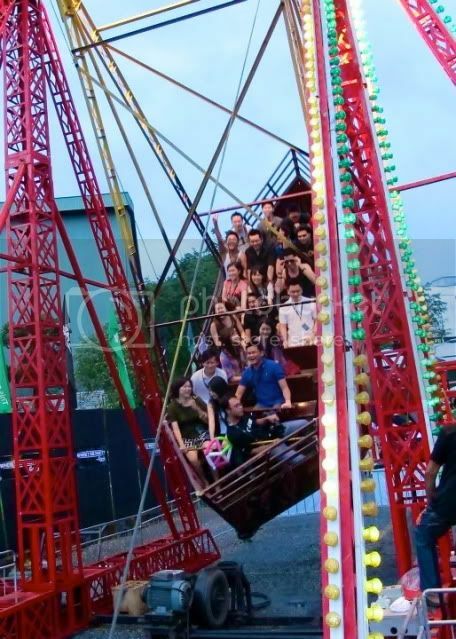 The party incorporated an ‘amusement park’ theme, complete with childhood favourites such as a ferris wheel, pirate ship and an adult carousel. Some other traditional fun fair booths also included Ring a Green, Toss & Score, Duck Hunt, ‘Our holes, Your balls’ & Wild Wild West. It was pretty fun as me and Cynthia tried out MOST of the games. Some we just chickened out or just really sucked at it lol. But managed to score a few points *banggamoment* lols. We also had fun time thanks to the super friendly Carlsberg staff who were really sporting and outgoing, they really kept the mood going. Even if the queue was long, we were laughing all the way till it was our turn. 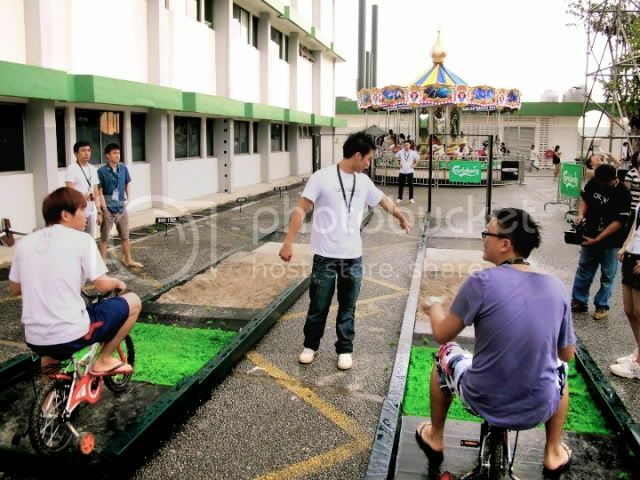 There were also various group challenge games such as ‘Road Runner’, ‘Peddle to the Bell’ and ‘Dare to Dash?’ which aimed to engage all partygoers and create a community spirit among them. 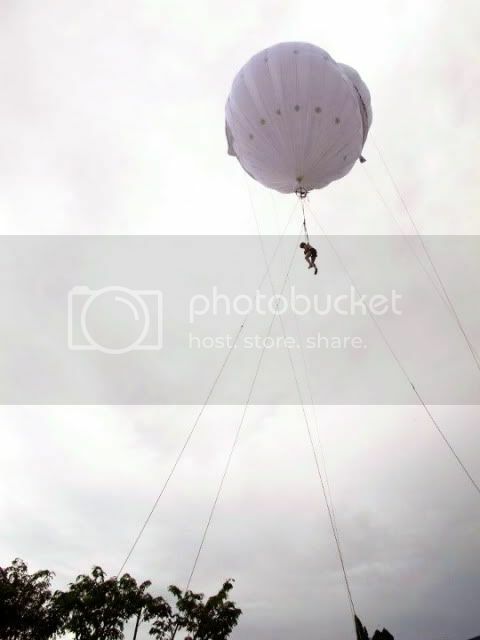 & with its reputation as the ‘party of the year’, this time, a key highlight of the party was the Sky Ride, which gave partygoers an exhilarating experience of being buoyed by a hot air balloon. Remember the first picture above? The white hugeeee balloon? 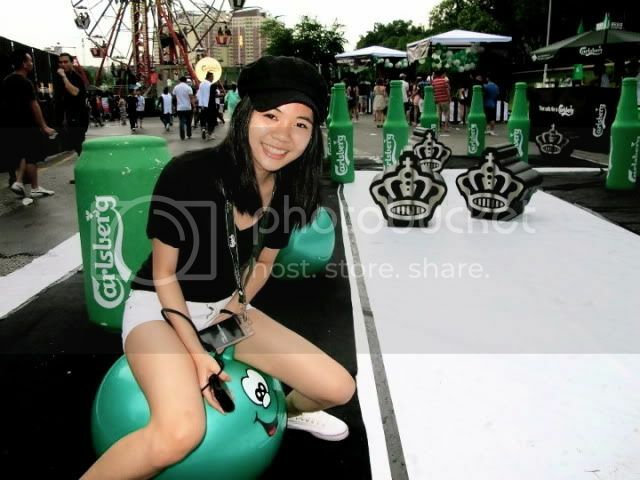 Other than that, consumers were also given an opportunity to relive their childhood and be enthralled by circus acts which included stilt walkers, unicyclists, jugglers and balloon sculptors. 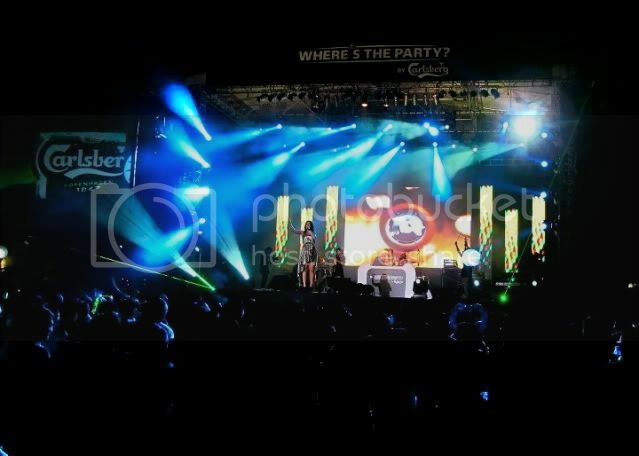 To liven up the atmosphere in the evening all through the wee hours the next morning, Carlsberg presented an array of entertaining performances by international DJs, renowned rappers, bands and musicians. Locally acclaimed performers Dennis Lau and Shawn Lee presented a thumping combination of an electric violin and beat boxing. 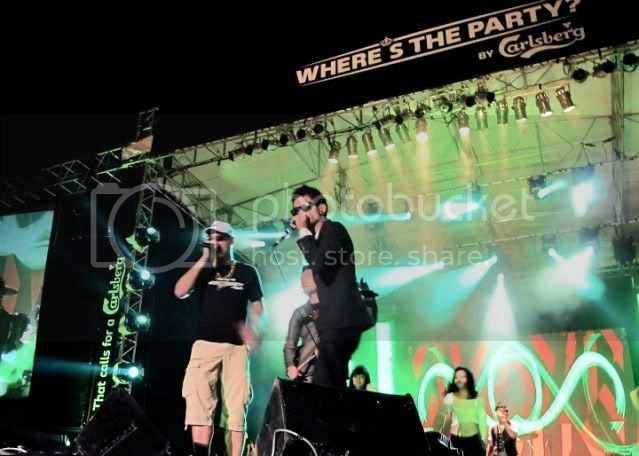 Special group appearances by famous Korean star, Lee An, the unforgettably spontaneous star rapper of Carlsberg Malaysia, Mr Soren Ravn along with violinist Dennis Lau awed the party crowd further. Home-grown bands Crossfire and Paperplane Pursuit had the crowd dancing to their chart topping hits. World renowned girl band ‘High on Heels’ also made their first appearance in Malaysia and entertained the crowd with their creative mix of LIVE classical instruments with song mixing on their turntables. “Where’s The Party” came to a close around 2am the following morning after several hours of non-stop music with international DJs; Sophie Sugar from the UK and Hiloco from Japan. Not only we were served free flow beer but also food! 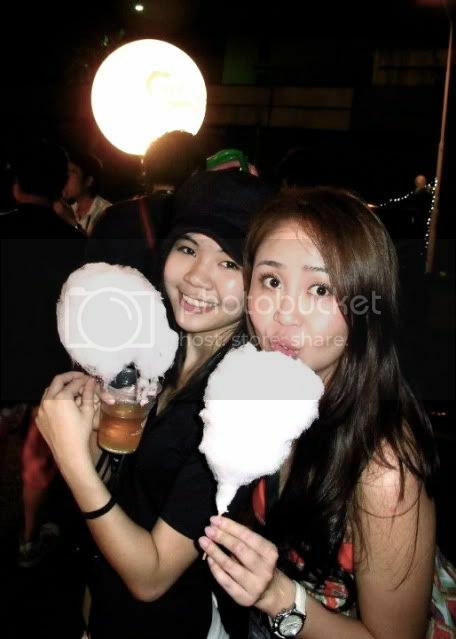 From nasi lemak to hot dogs also COTTON CANDY! :DD I hate a couple of them heehee. Yours truly, Chrystal and Samantha. someone was pretty shyyy cause she was quiteee hyperr looools. And I tried out the Drunk Man Zone which enabled consumers to play an android game which showed them the effect of excessive alcohol consumption. These activities served as a reminder for all partygoers to be safe, in control, drink smart and stick to the age limit. To bad I couldnt win the breathalyzer set )))): wouldnt that come in handy? heehee. Overall I had a pretty fun night with a couple of close friends and all the darlings from Malaysia's Hottest Blogger's ! 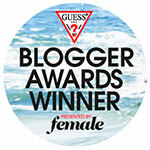 *do check out our page* and many thanks to the people from Carlsberg for such a wonderful night. 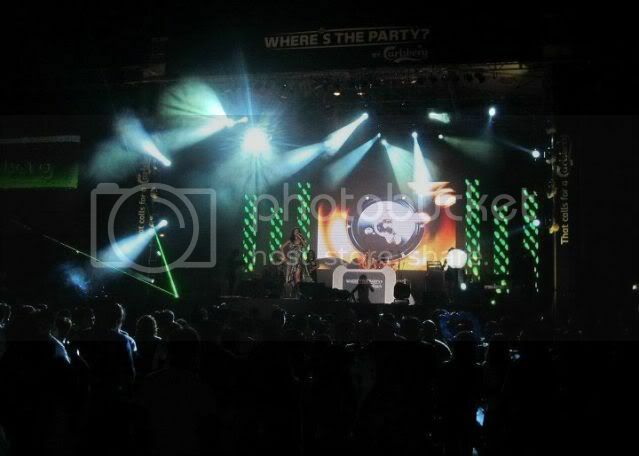 For more pictures, upcoming events and info do check out, Carlsberg Malaysia's Facebook page!